Deluxe Box Set With, DVD, Blu-Ray, Book and Double 7" 45RPM Vinyl. The Beatles Classic 1967 feature film has been restored for worldwide release. 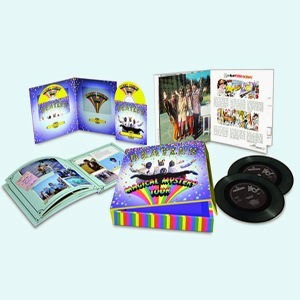 This limited edition deluxe version comes in a 10" x 10" box, which contains the DVD & Blu-Ray, as well as a 60 page book with background information, photographs and documentation from the production and also a faithful reproduction of the mono double 7" vinyl EP of the films six new Beatles songs, originally issued in the UK to complement the films 1967 release. The Making of Magical Mystery Tour (19m 05s) - Features interviews with Paul and Ringo, along with other cast members and crew. Includes unseen footage. Ringo the actor (2m 30s) - Ringo reflecting on his role in the film. Meet The Supporting Cast (11m 27s) - A feature on the background and careers of Nat Jackley, Jessie Robins, Ivor Cutler, The Bonzo Dog Doo-Dah Band, Victor Spinetti, George Claydon, and Derek Royle. Your Mother Should Know(2m 35s) Blue Jay Way(3m 53s) The Fool On The Hill (3m 05s) - Three new edits of these performances all featuring footage not seen in the original film. Blu-Ray features the original film restored. DVD features the original film restored. Ranked 3/500 on Rolling Stone Magazine's 500 Greatest Albums of All Time! 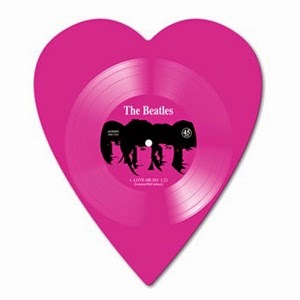 A strictly limited edition run of 2000 pink heart shaped vinyl. Enclosed in a deluxe PVC with its own numbered certificate. An absolute must for all collectors / fans. September 9, 2014 – New York, NY - NOTHING HAS CHANGED released by Columbia Records/Legacy Recordings on November 18th collects together for the first time the definitive collection of Bowie’s music from 1964 to 2014. The album features Bowie’s first new music since he stunned the world with the critically lauded ‘THE NEXT DAY’. The new single ‘SUE (or IN A SEASON OF CRIME)’ was especially recorded for NOTHING HAS CHANGED with long time collaborator Tony Visconti and will be released as a digital download the same day as the album and as a Record Store Day exclusive 10” single on November 28th. On September 23,David Bowie is, a film of the exhibition created by the Victoria and Albert Museum, is scheduled for exclusive screenings in 100 movie theatres across the U.S. Distributed by Omniverse Vision, the documentary was filmed on the closing night of the V&A exhibition in London and directed by Hamish Hamilton, the BAFTA-winning Director of the Academy Awards and the Opening Ceremony of the London 2012 Olympic Games. 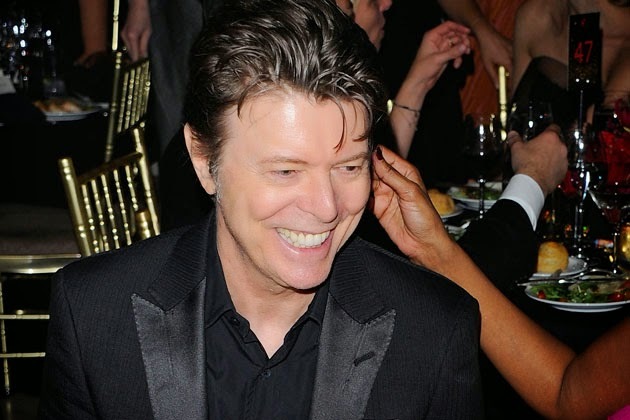 The screenings are in coordination with David Bowie Is, an exhibition opening at the Museum of Contemporary Art Chicago in Chicago (September 23, 2014-January 4, 2015). David Bowie Is presents the first retrospective of the extraordinary career of David Bowie—one of the most pioneering and influential performers of our time. More than 400 objects, most from the David Bowie Archive—including handwritten lyrics, original costumes, photography, set designs, album artwork, and rare performance material from the past five decades—are brought together for the first time. 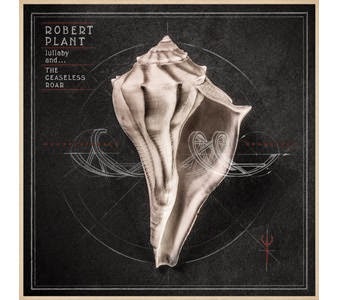 Robert Plant’s new album, lullaby and… The Ceaseless Roar, will be released September 9 on Nonesuch/Warner Bros. Records. Produced by Plant, the album is his label debut and features 11 new recordings, nine of which are original songs written by Plant with his band, The Sensational Space Shifters—Justin Adams: bendirs, djembe, guitars, tehardant, background vocals; John Baggott: keyboards, loops, moog bass, piano, tabal, background vocals; Juldeh Camara: kologo, ritti, Fulani vocals; Billy Fuller: bass, drum programming, omnichord, upright bass; Dave Smith: drum set; and Liam “Skin” Tyson: banjo, guitar, background vocals. To celebrate the 20th anniversary of the motion picture Forrest Gump, we're proud to announce the first ever North American vinyl pressing of the soundtrack. 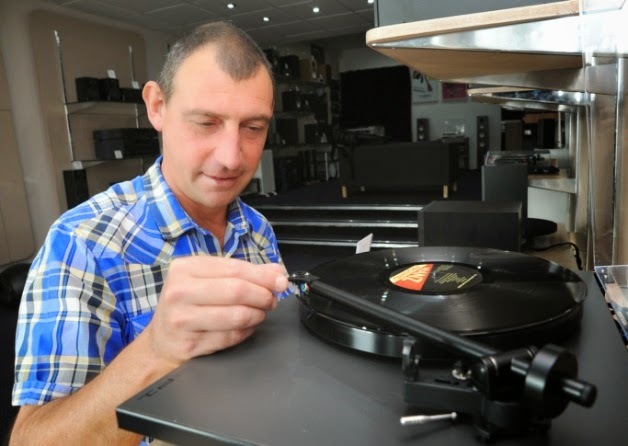 All 32-tracks have been placed across three vinyl LPs to ensure maximum audio-fidelity, in addition to vinyl mastering and lacquers by Kevin Gray, and platting at RTI. The album will be available on 180 Gram "All American" Red, White and Blue vinyl LPs, pressed at United Records in the USA. First pressings will be hand numbered and limited. 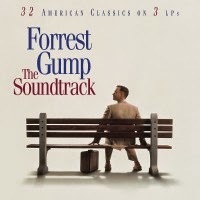 Forrest Gump: The Soundtrack is one of the most successful movie soundtrack albums of all time. The album - like the film - instantly captured the heart of America, going into the top 10 of Billboard's Pop Album chart and shipping over 1 million units in its first few weeks of release. This timeless double album of American Classics has since been certified DIAMOND - selling over 6 million copies. 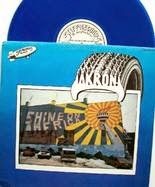 First pressing is on an 'All American' limited Edition and Hand Numbered 3 180 Gram colored vinyl LPs - Red, White and Blue. Triple Panel Gatefold jacket. Matte paper finish with Spot UV. Like its predecessors, the album is progressive and technically advanced. It also has higher production values than previous albums, with considerably less static on its overall sound. 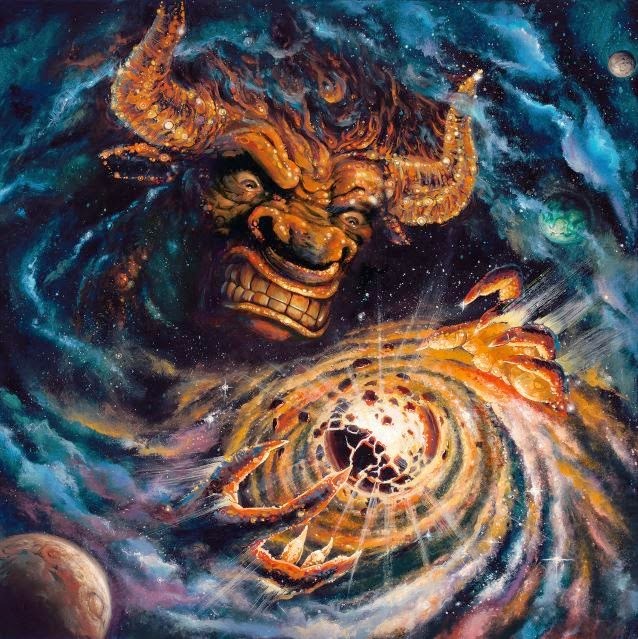 It is notable that the average song length on this album is around five minutes, while it was around four minutes on Human and Individual Thought Patterns, perhaps due to slowed down song tempos closer to that of traditional death metal. It was also the first album to feature Kelly Conlon on bass. 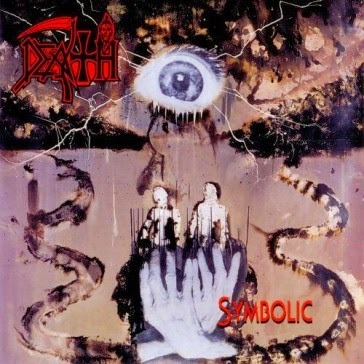 Chuck Schuldiner’s growl also became noticeably higher on this release, which continued with their next (and last) studio album The Sound of Perseverance and culminated with their cover of Judas Priest’s “Painkiller”. In September 1966, Micky Dolenz, Davy Jones, Michael Nesmith and Peter Tork debuted as The Monkees on NBC’s new Fall season lineup of shows. Overnight success would happen in the form of a smash TV show, a #1 debut album The Monkees and a #1 hit single Last Train To Clarksville. The Monkees were now the face of young people everywhere and they were here to stay. All your favorite hits are included like Last Train To Clarksville, I’m A Believer, Daydream Believer, Pleasant Valley Sunday, Valleri, I Wanna Be Free, (I’m Not Your) Stepping Stone, Randy Scouse Git and 53 more, 61 tracks total. The Monkees & More of The Monkees were two of the most successful albums ever released in classic rock history. 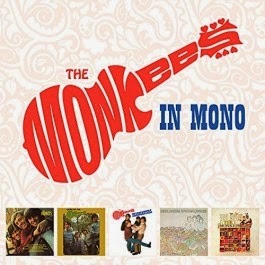 The mono mixes are terrific here as you will hear nuances and slightly different mixes than their stereo counterparts. Headquarters will always be one of those “must haves in mono” and now you have it…. 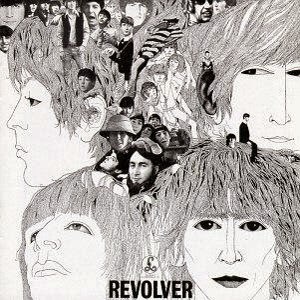 This album started the Summer Of Love in 1967 and was the last album before Sgt Pepper by the Beatles to be on the top of the charts, later The Monkees replaced the Beatles again in the top spot with Pieces, Aquarius…. Both Pisces, Aquarius, Capricorn & Jones Ltd. & The Birds, The Bees & The Monkees are two of the rarest mono albums from the band, as stereo was the format of choice by 1968 and mono albums were soon discontinued. We have now gone back to the Colgems mono tapes and have put these back in circulation on vinyl for the first time in 46 years! A great way to celebrate the holidays this year for your favorite Monkees fans, The Monkees In Mono is in strictly limited edition and will become one of the most important overviews of this band ever released. Exclusively from your friends at Friday Music! This title will be released on October 7, 2014. 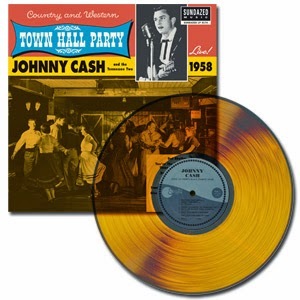 Johnny Cash - Johnny Cash Live At Town Hall Party 1958! 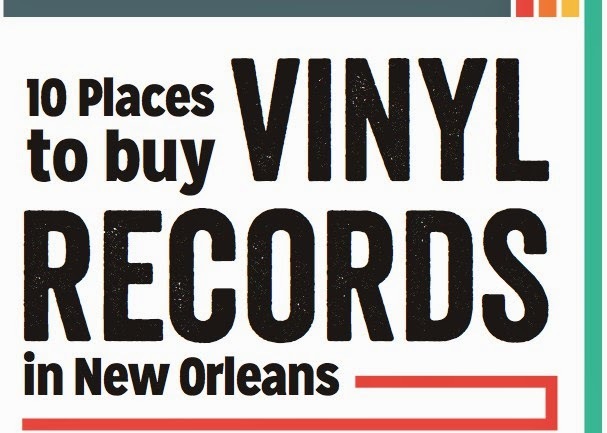 FIRST TIME ON VINYL—The birth of country cool! The Johnny Cash you hear on these two remarkable live per formances is not the venerable legend of today. This was the young, feral Cash, full of piss, vinegar and sly orneriness. Even to those who know every note, joke and guitar lick on Johnny Cash At Folsom Prison or San Quentin, hearing Cash in his prime, aided and abetted by the Tennessee Two, guitarist Luther Perkins and bassist Marshall Grant, is a revelation. These historic documents, sourced directly from the 1958 and 1959 kinescope reels, capture Cash in his most revolutionary days, laying the bedrock of all that was to come and—despite age and infirmities—continues today. Following in the footsteps of our ultra-cool Johnny Cash Town Hall Party LPs, we're back with three more live-in-the-studio sessions from '58-'59, featuring Gene Vincent, Eddie Cochran and Merle Travis. 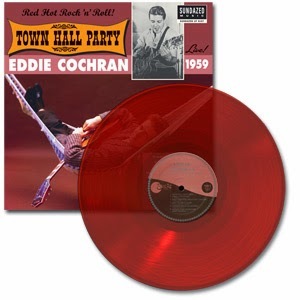 Taken from Tex Ritter's legendary Town Hall Party television series, our LPs capture rockabilly legends Gene Vincent, Eddie Cochran and guitar-picking icon Merle Travis at the absolute top of their games, each playing incredible live material—and never before released on vinyl. If you missed the TV coverage more than 45 years ago, here's your chance to breathe in the sweet magic of these historic sessions. 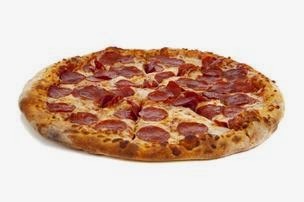 A Uniquely Nashville Pizza Promotion - How About A Record with Your Pizza?